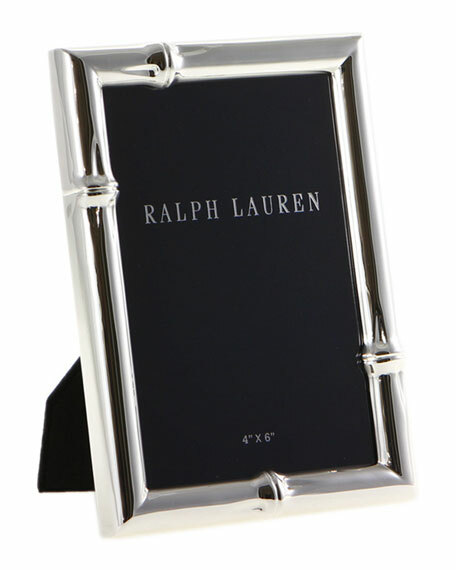 Ralph Lauren Home Bryce Bamboo Picture Frame, 4" x 6"
The elegant Ralph Lauren Home "Bryce" frame is crafted from polished silver-plated brass and features a bamboo design. Overall: 5" x 7" / 12.7 cm x 17.8 cm. Silver plate with anti-tarnish finish.